Why Become a Certified Kitchen and Bath Designer? 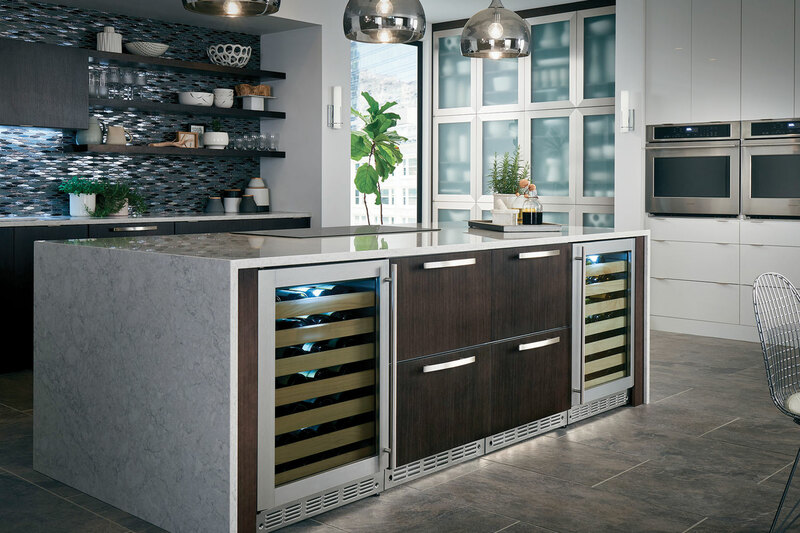 Recently we chatted with Lisa “Elle” H-Millard, Manager of Certification and Design for the National Kitchen & Bath Association (NKBA), to discuss the benefits of designer certification through NKBA. SRFD: Why is being a CKBD important in the design world? Elle: The building/remodeling industry is a $121 billion market in which kitchens and baths represent $31 billion of the industry. We also know that the average home is being remodeled every seven years, so business looks pretty promising for the future. With so much development and construction, mistakes are made daily. Each mistake could cost hundreds or thousands of dollars, all affecting your bottom line. As a Certified Kitchen and Bath Designer (CKBD) or Certified Master Kitchen and Bath Designer (CMKBD), you are able to greatly reduce the amount of mistakes made on a job and can communicate more effectively with other trades using consistent and appropriate industry standards. I myself had been designing commercially for over seven years as a restaurant designer and believed I was at a point where “I didn’t need to be certified as I am established and doing well for myself.” Little did I know that there was more than I would like to admit that I needed to know more about, such as make-up air, ventilation and mechanical drawings. For me, I knew enough to get by, but couldn’t really consider myself an expert in those areas. I knew that if I wanted to continue to grow as a designer and stand out from my competitors, I needed to make this my responsibility. Certified designers are responsible for making solid recommendations based on a client’s needs and wants and must be competent in writing specifications, creating drawings (floor plans, construction plans, mechanical plans and elevations), communicating clearly with other trades, managing projects, and managing an ethical business. SRFD: What is the difference between an AKBD, CKBD and CMKBD? Elle: Short answer … it is a hierarchy of certification starting with an Associate level and capping at the Masters level. AKBD – An Associate Kitchen and Bath Designer has two years of industry experience and passed a challenging exam consisting of 150 multiple choice questions. An AKBD is knowledgeable in the kitchen and bath industry, however, is not considered a certified designer. Also the AKBD exam is not intended for designers only, rather for those interested in gaining more knowledge in the industry. CMKBD – A Certified Master Kitchen and Bath Designer must have two years of industry experience AFTER achieving CKBD level, 100 education hours, and be in good standing with the NKBA. In addition, a CMKBD will need to be engaged in the industry, promote professionalism, and cultivate new talent. For more information about how you can become a Certified Kitchen and Bath Designer, visit nkba.org. In today’s world, we are all connected in one way or another to everything around us, so why not be connected in your kitchen as well. Thanks to Monogram’s WiFi Connect, you can talk to your appliances from anywhere – giving you the ability to monitor and control your appliances with your smartphone. How will Monogram’s connected appliances help you? So many ways! Learn more and share your thoughts on the NKBA Connect blog today.